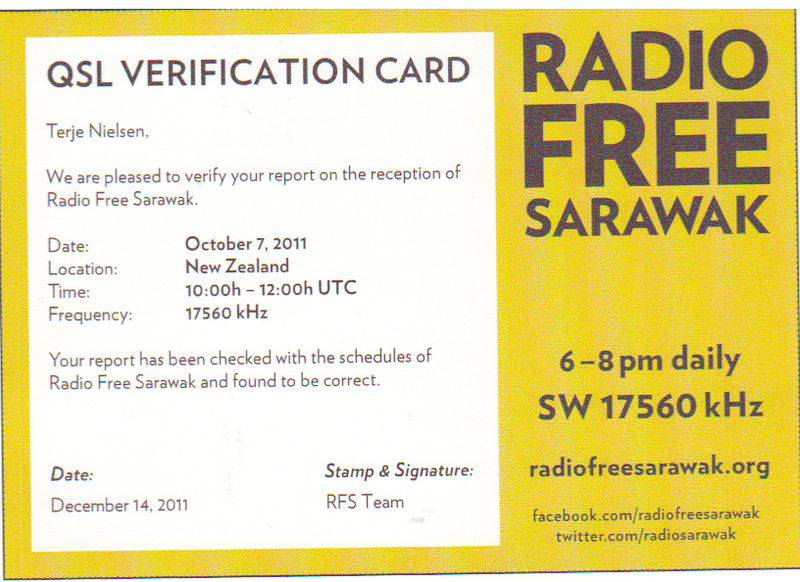 Ivo Ivanov reports via the SW DX Bulgaria website that Radio Free Sarawak has reactivated on SW. Ivo notes “Radio Free Sarawak continues to broadcast on 15420 after 1230, probably until 1300”. 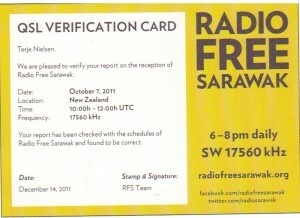 Their mandate seems to be to support land-owners disenfranchised by large companies and government misinformation: “If you have a problem in your village or if someone is taking your land, logging, planting or polluting your area let your voice be heard and tell the world about it through Radio Free Sarawak!”. For more info visit their website.